Welcome to our monthly Inspire, Create, & Share blog hop! Our theme is "A Recipe For Sale-A-Bration." When you purchase $50 you will qualify for one of the free level 1 Sale-a-bration gifts. A $100 purchase will qualify for a level 2 Sale-a-bration gift or 2 of the level 1 gifts. Our project recipes will qualify you for a level 1 gift. 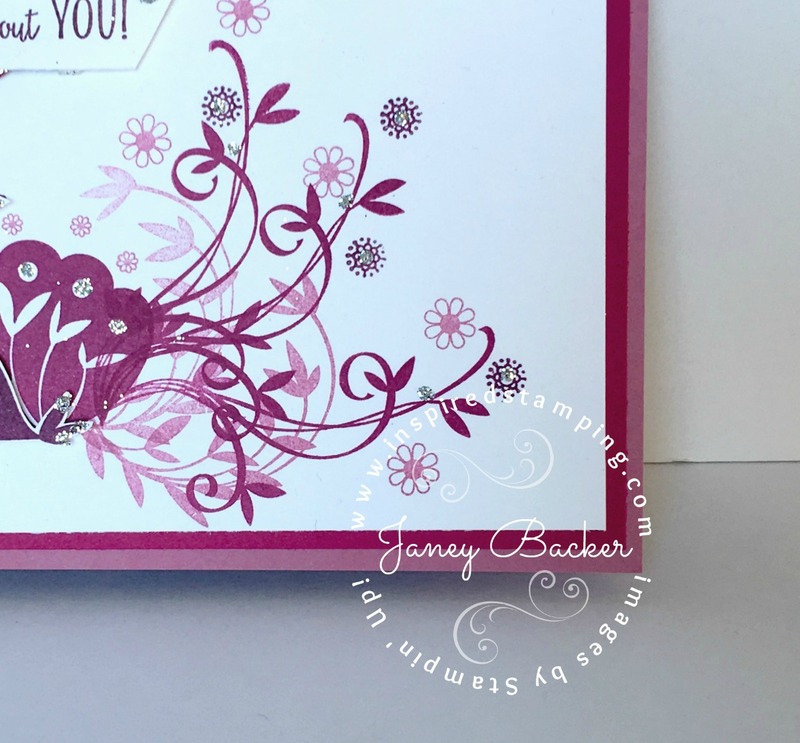 Our "Beautiful Peacock" stamp set is a level 1 Sale-a-bration gift. 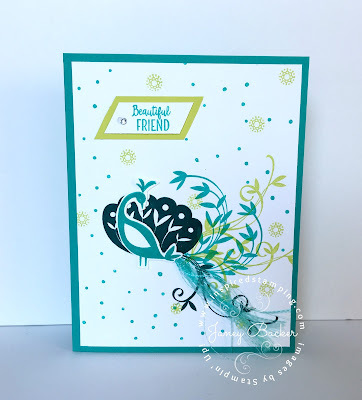 This stamp set makes it so easy to design elegant and fancy peacock cards. Our new Berry Burst metallic edged ribbon ties in the sparkles in our rhinestones and silver glitter which makes this a stunningly beautiful peacock. My recipe of products is listed at the end of this post. Below you can see the droplets of silver glitter in each flower center and on the fanned out peacock tail. 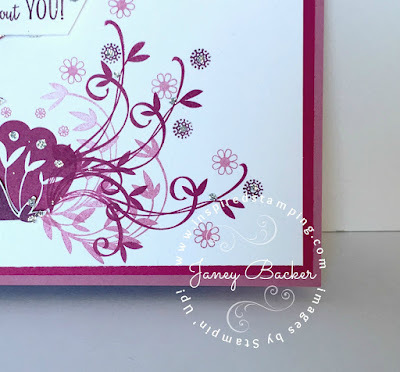 This next design has a technique demonstrated at the Stampin' Up! OnStage conference. 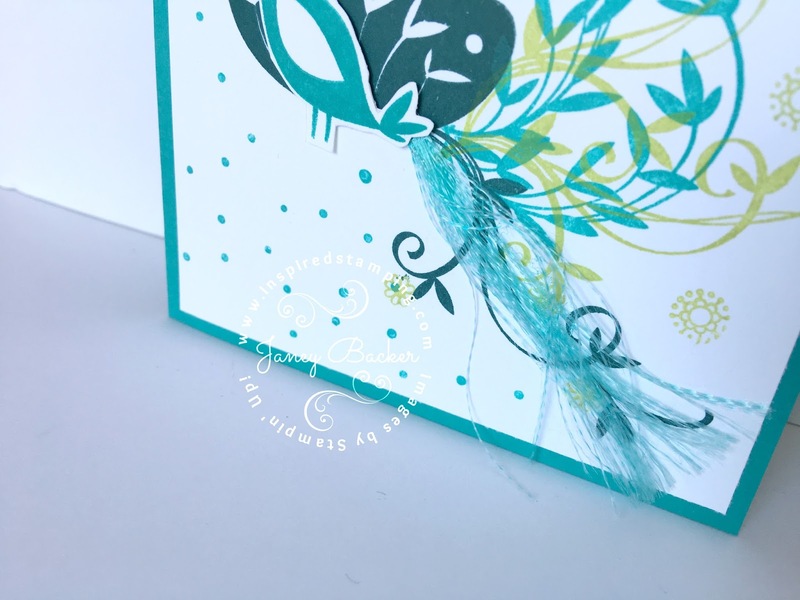 Our Sale-a-bration Shimmer Ribbon has a small metallic thread that can be pulled to unravel the ribbon to make a flowy tail for our Beautiful Peacock. Isn't that a regal embellishment?